Sixteen members of the Academy travelled to Cork, Ireland to represent the TSKUK at The WTKO European Championships. It was a very successful day for the Westwood students, who won a total of 13 Gold, 16 Silver, and 4 Bronze. Charlie Tarr. Team Kumite SILVER. Team Kata SILVER. Finn Tyrell. Ind Kumite GOLD. Ind Kata SILVER. Team Kata SILVER. The TSKUK Free Winter Course was attended by nearly 6oo students at the UEA in Norwich. After two hours of training, a black belt 1st and 2nd dan grading was conducted by the TSKUK panel headed by sensei Alan Parrish 6th dan and sensei Jason Hitchings 6th dan. 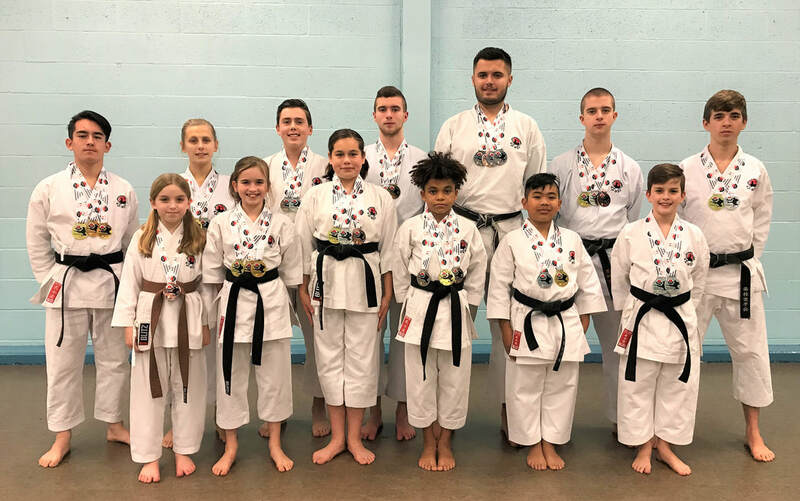 Congratulations to our 12 new black belts, Ben Clark, Jack Clark, James Harris, Joseph Sutton, Robert Taylor, Jasmine Harmon, Yukie Sato, Dexter Munson, Alyssa Hall, Finn Tyrell, Edwin Varghese, and Gurureyan Karthikeyan. A massive well done also to Stuart Day, Steven Beavis, and Trevor Stansfield on their promotion to 2nd dan. 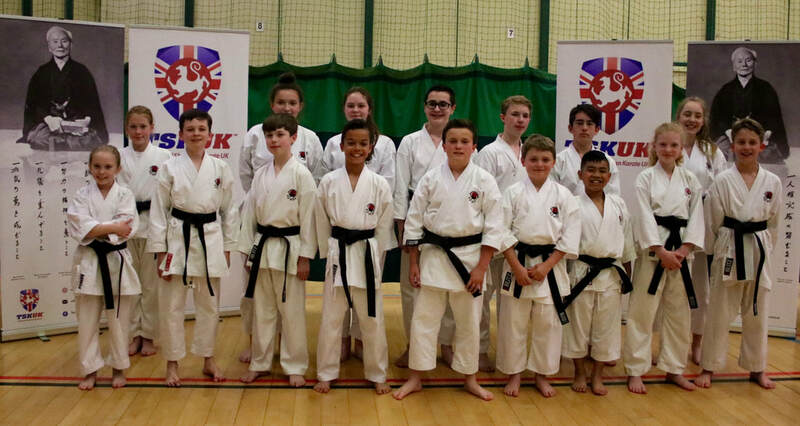 Hannah Mitchell lead the way for Westwood Academy's competitors at the JKAE Open Championships, winning the gold medal in the 13-15yrs individual kumite event. In the boys 10-12yrs events, Mac Oats won the silver medal in kumite, while Brandon Aguinaldo won a bronze in this, and another bronze in the kata event. Sienna Keenan and Hollie Norfolk both won bronze medals in their kumite events. Summer Leaver and Rio Patel won two bronze medals each in the 7-9yrs kata and kumite events. The WUKF European Championships were held in Malta over four days in late October 2018. The TSKUK team included 16 Westwood Academy members, who won a fantastic total of 23 medals between them. 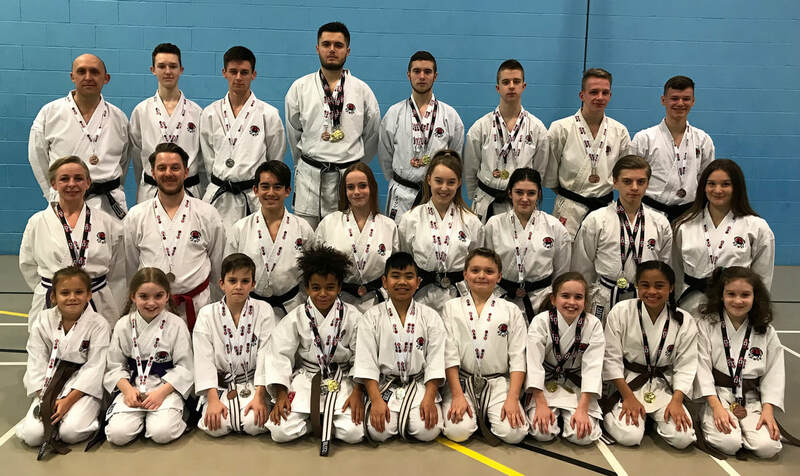 Academy instructors, Mason and Harrison Gill were crowned double European champions as members of the winning 18-20yrs kumite and rotational kumite teams. 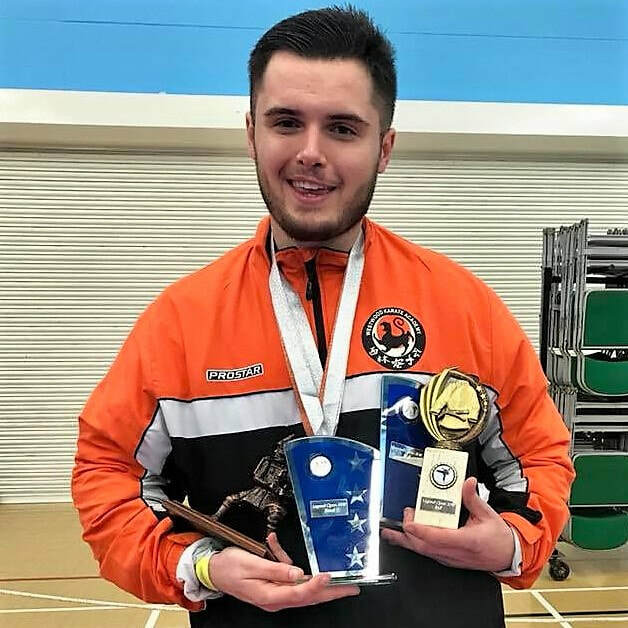 Brother Brandon also won gold as a member of the 15-17yrs kumite team, and he also won a bronze medal with Reece ward and George Carson in the rotational team kumite event. Caitlin Day and Ellie Worth each won silver and bronze medals in the 15-17yrs female team kumite. Daniel Allen won a bronze in the 13-14yrs rotational team kumite, but won silver in his individual event. Jasmine Harmon also won a silver medal in her individual kata event, and another silver medal in team kata with Sienna Keenan and Hollie Norfolk. Mya Francis won the bronze medal in her individual kumite event, and the boys kata team of Brandon Aguinaldo, Mac Oats and Finn Tyrell also won bronze medals. More than 100 Westwood members competed in this year's Autumn club competition. Well done to everyone who took part, and thank you for making the competition such a success. Congratulations to Hayley Mitchell, who passed her 3rd dan grading on the TSKUK Autumn International Course. 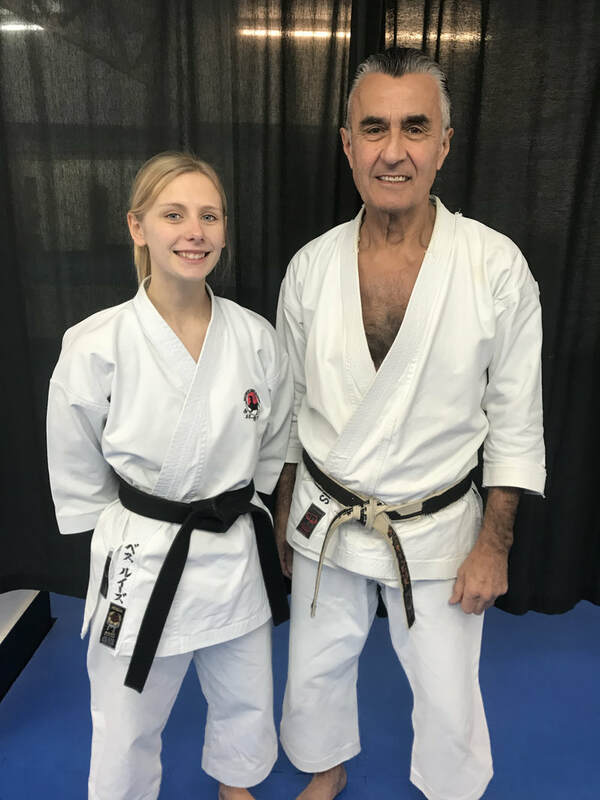 Hayley graded after two days of training with WTKO chief instructor Richard Amos sensei 7th dan, Aiden Trimble sensei 8th dan, and Koji Wada sensei 7th dan. There were three students attempting the tough high level grading, and Hayley was the only successful candidate. 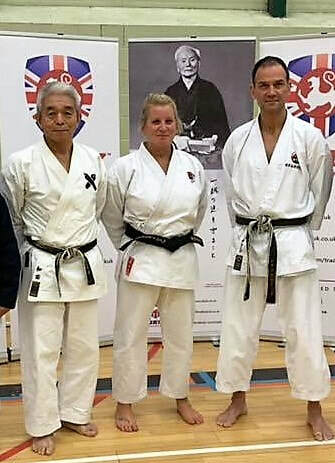 She is picture here with sensei Wada and sensei Amos. 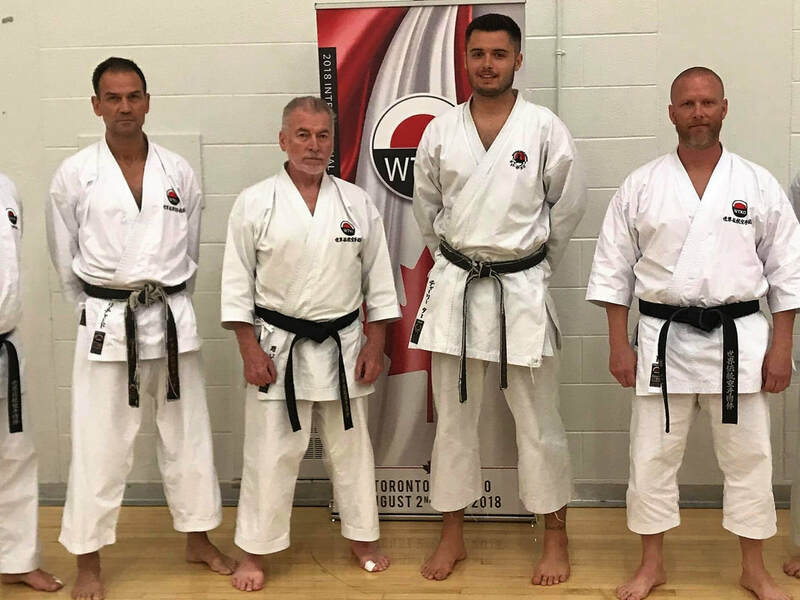 Congratulations to Westwood Academy instructor sensei Charlie Tarr, who travelled to Toronto, Canada for the WTKO Summer Camp and International competition to grade for 4th dan. His grading was conducted by a panel of the WTKO senior instructors, and he passed with flying colours. 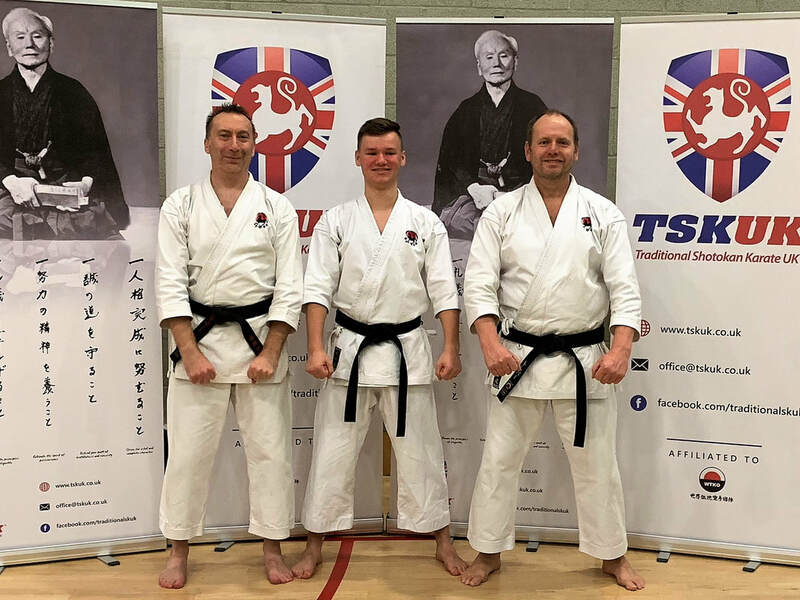 In addition to training on the four day training camp, he also competed in the international competition, finishing second in the kata event, and winning the senior kumite event. Well done to everyone who took part in representing Westwood at the TSKUK Championships. You brought home a fantastic haul of 96 medals altogether, 34 Gold, 23 Silver, and 39 Bronze. More than 300 students attended the TSKUK Spring Course held in Southend-on-Sea on Sunday 22nd April 2018. 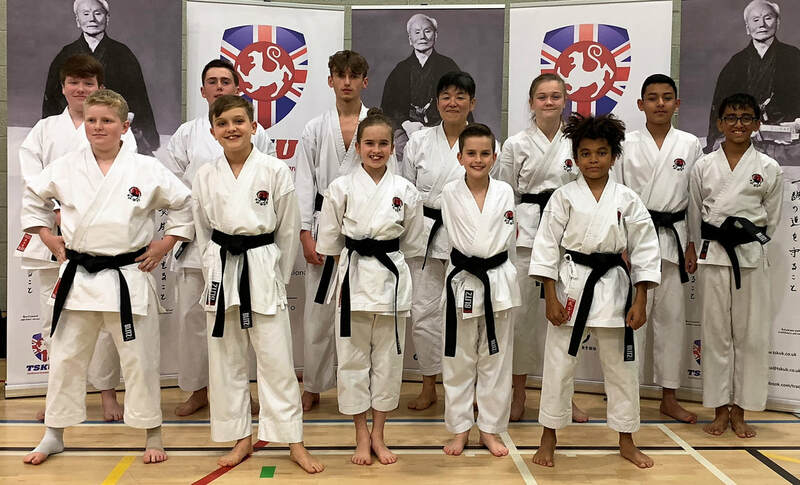 A 1st and 2nd dan black belt grading followed the two hour training session and we are pleased to announce that 13 Westwood students passed their 1st dan grading and three were promoted to 2nd dan. 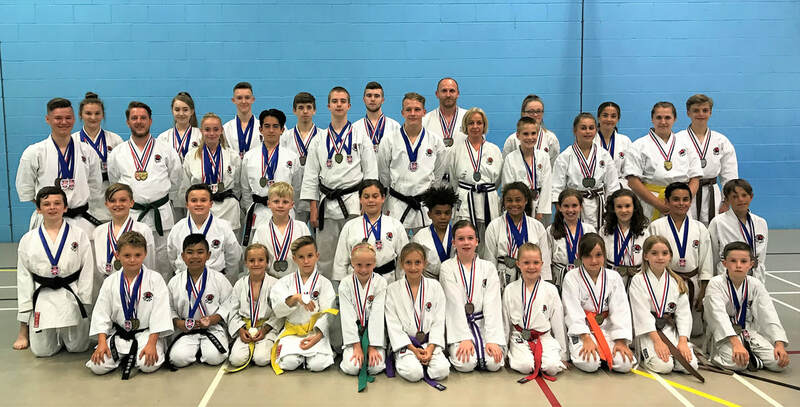 Our congratulations go to Stephanie Forster, Rachel Sayer, Luke Mitchell, Finley Highfield, Jessica Ashton, Abigail Portway, Charlie Webb, Lewis bailey, Callum Latimer, Mac Oats, Brandon Aguinaldo, Jessica Miller, Louis Bowers, Callum Highfield (2nd dan), Daniel Allen (2nd dan), and Eleanor Worth (2nd dan). 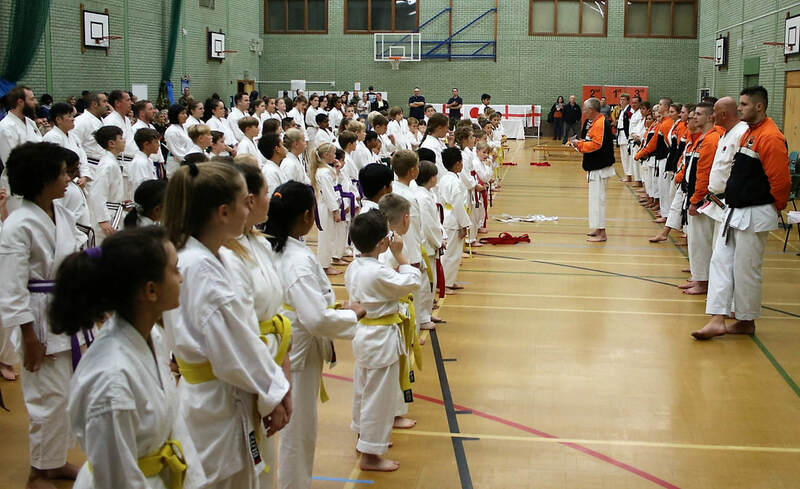 Some outstanding results for Westwood at the Legend Open Shotokan Championships. In the largest category, 7 to 11 years brown belt kata event, Westwood competitors Mac, Brandon, and Finn, took all top three places. Brown belt James Harris was runner-up in the 14-15 years over 5ft kumite event, which included black belts. The junior kata team winning gold and then also winning silver in the cadet event. There were lots of excellent performances from all our competitors, and club instructor Charlie Tarr, rounded off a great day when he was awarded the trophy for the competition's outstanding competitor. Our full results can be seen in the table below. Huge Congratulations to Richard Binns and Beth Stansfield. We are extremely proud to announce that both passed their 3rd dan grading examinations on Sunday 11th February. The grading took place after the 2 day TSKUK International Course and was conducted by WTKO chief instructor sensei Richard Amos 7th dan, assisted by technical director, sensei Steve Ubl 8th dan. Also on the grading panel was sensei George Best 7th dan. Well done to everyone who represented TSKUK at the championships. Great performances and results from everyone. A full list of our medal winners is below.
" My two sons attend at the Chase Sports Centre. They absolutely love it, all the sensei are kind and helpful "